Did you know that every time you swipe your card in a foreign country, your bank is charging you exorbitant fees and giving you a terrible exchange rate? Yet, you can save thousands every year by choosing the right bank. If you travel abroad for a week or two per year, 3–5% in various fees and bad exchange rates for international card use is not really a big problem. But as a frequent traveler or digital nomad spending most of your time abroad these fees add up quickly. In fact, you might be donating hundreds or even thousands of dollars yearly to your bank. I’m sure you could think of a better way to spend that money. But what if I told you that there are banks out there that charge no monthly fees, 0% foreign transaction fees, 0% currency exchange markup, 0% ATM withdrawal fees and even refund fees imposed by ATM owners worldwide? Sounds like some sort of black magic right? Well it’s not. I spent countless hours finding the best banks for nomads in North America, Europe and Oceania, so you don’t have to. Read on to learn more about these incredible banks and how you can open an account with them today. This is what you get with Number 26: a MasterCard Debit, an online bank and a mobile app. And that’s all you really need for your everyday banking needs. My favorite bank in Europe must be Number26. 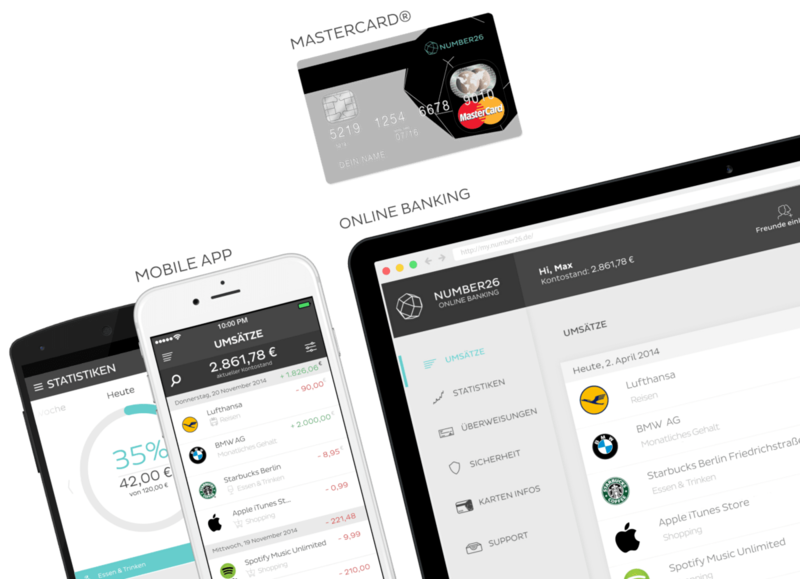 It is a brand new banking startup based in Berlin and is currently only available to residents of Germany and Austria. UPDATE: As of Dec 3, 2015, Number 26 is now also available in Spain, Italy, Ireland, Slovakia, Greece, and France. UPDATE (Dec 6, 2016): N26 has now launched in all Eurozone countries except Malta and Cyprus. If you live in Belgium, Estonia, Finland, Greece, Ireland, Latvia, Lithuania, Luxembourg, Netherlands, Portugal, Slovakia and Slovenia you can now open an account. But fret not, you don’t actually need to live there to open the account. Unlike many other banks you don’t actually need to prove that you’re a registered resident (at least in my experience as an EEA/EU citizen), but you still need a German mailing address for them to send out their amazing debit card. As a global-minded citizen, I’m sure you can make some German friends that will allow to you use their address as a C/O address for the purpose of opening the account. You can easily change the address after receiving the card. UPDATE: Number26 changed their name to N26, and have received their own full banking license. As of November 2016, all accounts are being migrated to N26 Bank. They now offer three plans: N26, N26 Black, and N26 Business. Read about the changes here, and decide which plan is right for you. Can be opened remotely from anywhere***, click here to learn more. * AFAIK, they do not refund fees that the owner of the ATM might add, which is a common practice in large parts of the world. ** You will be charged MasterCard’s official rate, which is pretty darn close to the mid-market rate. Read more about how the exchange rates of MasterCard and Visa compares. *** There are some restrictions depending on your ID card and residency. Although they have an English landing page, the actual online bank and mobile app are in German (at least for now). UPDATE: This is no longer the case, all apps, online bank and customer support are now available both in German and English. As mentioned above, you need to be a “resident” of Germany or Austria. According to their FAQ, they may ask for residency proof as part of their online identity check, but I have not heard of any EU citizens being asked for this. At least for now, you need an invite to open an account. You can apply for an invite by entering your email on their website, or by being invited by someone who is already a customer. I can send you an invite to get access immediately, just click here. Like with many (most?) checking accounts these days you will not accrue interest on your deposits. But that’s a small price to pay with what you save on using the card abroad. If you want interest on your euro deposits, see Nemea below. UPDATE: They now offer an option to invest your money in one of three simple investment plans, which over time should give you a much better return than the interest offered by most banks. Nemea is definitely not like other banks. It’s 100% online (they don’t even offer a debit or credit card yet. Update Aug 6, 15: they will likely launch a Mastercard Debit in early 2016), but it is very user-friendly and may be the easiest euro account to open remotely. The main selling point for opening a Nemea account right now is their generous interest rates on term deposits, where you can get 4% annual interest for term deposits of a few years (as of this writing). UPDATE: As of March 23, 2017, ECB has revoked Nemea’s banking license. No new accounts can be opened. Metro Bank (GBP — UK): Fee-free in Europe (the SEPA countries), fairly low fees elsewhere. DKB (EUR — Germany): Similar fee structure to Number26, but I have found their support to be quite bad (insisting that you email them in German, not English for example, else refusing to respond). Could be a good options for Germans still. Norwich & Peterborough Building Society (GBP — UK): Fee free debit card usage worldwide (including ATM withdrawals). You need to keep a balance of at least £5000 in your account or pay in at least £500 per month to avoid a £5 monthly fee, however. ICA Banken (SEK — Sweden): No currency exchange fees, ATM fees, or any other fees for international usage. The main downside is a monthly fee of 25 SEK (about 2.5 EUR), but this fee is waived for students and persons younger than 21 years old. Included travel insurance for trips of less than 45 days. Also free SEPA transfers. Thanks to Jonas for sharing this bank! Update: ICA Banken now charges a 1.25% foreign currency exchange fee. The only thing that leaves me wanting a bit more is their online banking solution. It’s quite messy, and I’m not pleased with their password security. Your password can be a maximum of 8 characters — letters and number only, no special characters. I mean… WHY??? So basically it’s on par with most other US banks. Like most US banks it also requires you to be a US resident. But as long as you keep a US address on file they assume you are living there. If you don’t have a US address while traveling or living abroad your account might be subject to closure. A mail scanning and forwarding service that offer street addresses (not P.O. boxes) can take care of this for a low monthly fee. 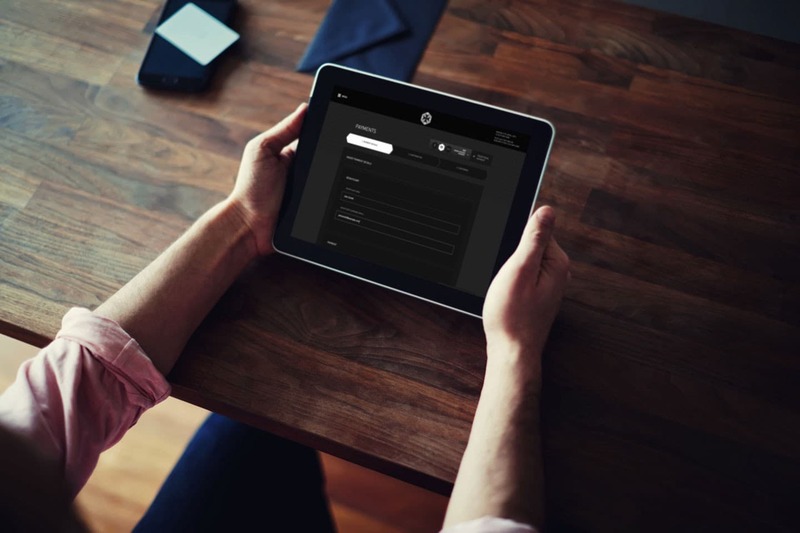 The account opening process is primarily online — you never have to physically show up anywhere. They do however have a few branches around the country, and I opted to open my account in one of them since I’m not a US citizen. * You will be charged Visa’s official rate, which is pretty darn close to the mid-market rate. Their password security is subpar. You are only allowed a 8 character password, no more. You can supplement it with a 2FA dongle, though. You need to be a resident of the United States. However, I opened my account while being in the country as a tourist through the visa waiver program. But I do have an SSN and I had just applied for a State ID card, so I supplied that ID number as well. The checking account comes bundled with a Schwab One brokerage account. Unless you have a brokerage account with them already you need to sign up for one when you apply for the checking account. It has no cost and you have no obligation to use the brokerage account. Capital One 360 (USD — United States): Quite similar benefits compared with Charles Schwab, but does not refund your ATM fees. Do you know any nomad friendly banks in Canada? Let me know, so I can add them here! Citibank has earned a reputation for being a good option for Aussie travelers. Although their internet banking is so-so, with the Citibank Plus Transaction Account you get fee free banking around the globe, with no foreign transaction fees and you get the official Visa exchange rate with no additional fees both for ATM withdrawals and regular transactions around the globe. To open an account you need to be a resident of Australia. You can easily complete the online account opening process, but you have to stop by one of their branches to show ID proof before they open the account. They have branches in most larger Australian cities. * They do not refund fees that the owner of the ATM might add, which is a common practice in large parts of the world. 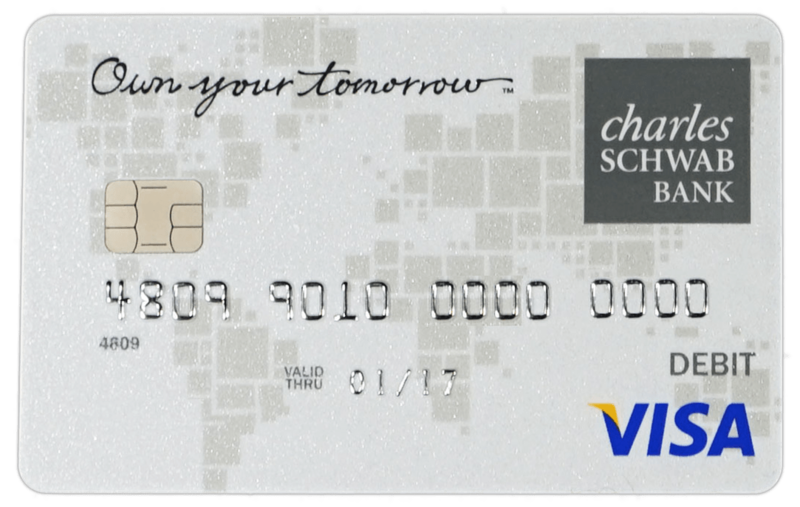 ** You will be charged Visa’s official rate, which is pretty darn close to the mid-market rate. Special thanks to Grum of wgopn for sharing his experiences with Citibank! Air NZ OneSmart (NZD, AUD, SGD, HKD, JPY, GBP, EUR, CAD, USD— New Zealand): This innovative prepaid card offer 3 free international ATM withdrawals per calendar month, and can hold a variety of different currencies. If you are in a country with one of the supported currencies, this card can be a good option. If you need to use the card for transactions in unsupported currencies there is a 2.5% fee. There is now also a $1 monthly fee. I have included all the nomad friendly banks I came across in my research, but if I missed a bank in your country please let me know so I can update the article! If you’re not able to open accounts with any of the banks listed in this article, check if there’s a bank in the Global ATM Alliance in your country. These banks usually waive any fees when you use your card in a partner bank’s ATM. Note that they usually still charge foreign transaction fees of up to 3%. Another alternative can be using a bank with a large global presence, such as HSBC, and as much as possible use their ATMs abroad. Yet, tracking down the few ATMs you can use fee-free in a particular city can be quite impractical. If you successfully open one of the bank accounts that I’ve listed above, you might wonder how you can fund your account if your current account is in a different country. There are many ways of accomplishing this, but often using a service such as TransferWise can save you lots of money. Be aware that intra-Europe your bank might actually be the cheapest option.